Chase Kowalski, 1st grader at Sandy Hook Elementary School, killed in the mass shooting at the school in Newtown, Conn. on Friday, Dec. 14, 2012. MONROE -- Chase Kowalski's 2012 "1st game ball" of the New York Yankees season sat in a collection of plastic-encased Yankee balls. There were also racing trophies and a baseball-theme frame of the 7-year-old baseball player, his name spelled out in crayon-color letters. These mementos of a joyful boyhood were on display to commemorate Chase's life. One of the 20 Sandy Hook Elementary first-graders killed in the Newtown shooting, Chase was mourned Wednesday by hundreds of people from near and far who waited in lines that snaked around the entire parking lot at the Spadaccino and Leo P. Gallagher & Son Funeral Home. In a statement, Chase's family said: "Chase was an amazing son, brother, and grandson whose heart was only filled with love for all the people he touched. He was a fun-loving, energetic boy that had a true love of life. He completed his first triathlon at the age of six and ran in many community road races. "Chase had a deep love for the game of baseball and enjoyed practicing with his father and teammates. Joining the Cub Scouts was just one of his many interests. 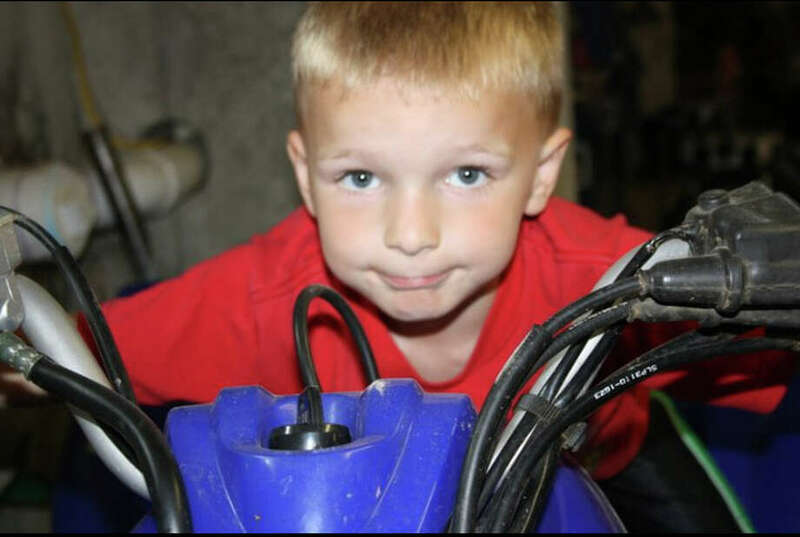 He could often be found in the yard playing ball, riding his bike or quad. "Chase was always excited to attend the kids work shop at the Trumbull Home Depot. He was greatly loved by his family. He joins his maternal uncle and grandfather, his paternal great grandmother and grandmother in a much better place." In all of the pictures of him, whether he's leaping into a lake, running a race or riding his four-wheel quad, Chase wears the look of an adventurer, a closed-mouth smile in many and an open-mouthed grin in others that shows off his missing teeth. Music piped into the funeral parlor included the Toy Story tune "You've got a friend in me." "It's just tragic," said one West Haven man, wondering how families and the community can ever be the same.